Born on March 31, 1913, Etta Baker might not be a common household name across America, but her music’s influence continues to shape generations of musicians across genres. We’re celebrating her birthday this week by revisiting her legacy. In 1962, on his 21st birthday, Bob Dylan decided to get away from the hustle and bustle of New York City with a weekend trip to a secluded cabin in Virginia, owned by folk singer Paul Clayton. We can only imagine the antics a group of 21-year-old musicians could cook up in a weekend, but there are two things we know for sure. First, when Dylan returned home, he wrote one of his most famous songs, “Don’t Think Twice, It’s All Right,” a smashing hit that’s been covered by popular artists like Dolly Parton, Cher, Johnny Cash, Elvis Presley, and featured in contemporary television shows and movies such as Mad Men, Friday Night Lights, The Help, and The Walking Dead. And the second fact we know? 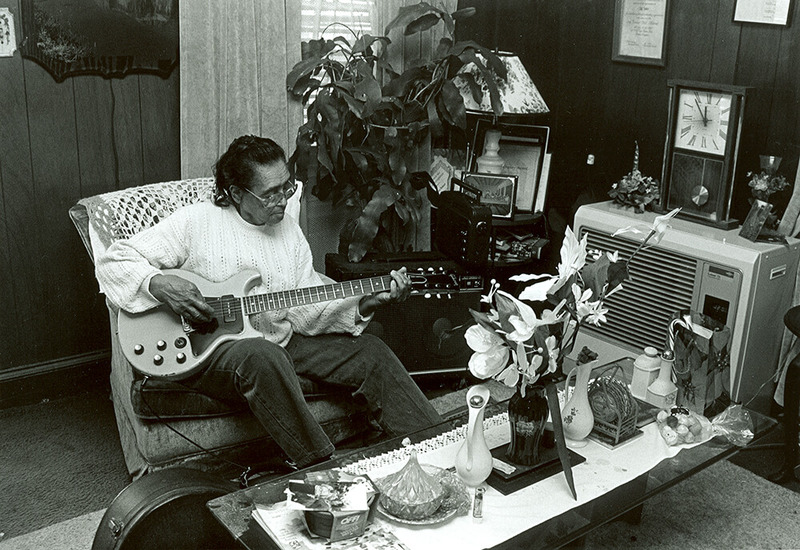 Without small-town-big-sound blues guitarist Etta Baker, the song might have never happened. Baker’s unique picking style captured the imagination of Dylan during his visit down South. Piedmont blues style, the influences of which can clearly be heard in Dylan’s song, is a guitar picking technique that Baker mastered. In a rhythmic pattern, the thumb creates an alternating bass movement while the index finger supplies the melody by plucking the treble strings. The style is revered for its snappy sound and challenging progression. Unlike Dylan, Baker was not a household name at the time. She didn’t perform nightly in sold-out arenas, and her fans were more likely to be found pitching a chair in the grass to hear her perform at their local folk festival than digging through the garbage outside her house or plastering her face on T-shirts. If she performed, she offered a simple show — no singin’, just pickin’ — but when she did play, her talent and distinct two-finger Piedmont blues style was unmatched. Baker’s playing style not only inspired Dylan to pen “Don’t Think Twice, It’s All Right”, but also influenced the entire American music industry and many of the artists we consider icons today. When you think folk or blues, we think back to its roots, and in Caldwell County is where our story begins. “[She was] one of the last, great traditional Piedmont blues players,” says musician David Holt during our phone conversation about his mentor, musing over the sentence. To fully capture Etta Baker’s legacy in one sentence is a difficult undertaking, and Holt elaborates a little further. When she played, her talent and distinct two-finger Piedmont blues style was unmatched. Originally from Johns River, a township just outside of Morganton, Baker grew up playing the traditional folk and mountain blues that can long be traced to the southeastern Piedmont region of North Carolina. Born Etta Lucille Reid on March 31, 1913, she was the youngest of eight children in a musical family and began to play her first instrument, the guitar, at age 3 under the instruction of her father, her only music teacher. She didn’t know the names of chords, Holt says, but she knew good music. 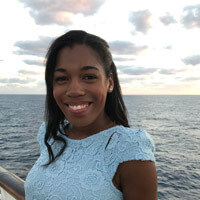 Baker could also play the piano, violin, banjo, and fiddle from a young age and traveled locally with her sister and father to perform at parties. When Baker married her husband, Lee Baker, in 1936, she stopped performing publicly at her husband’s encouragement to raise their nine children. But she still kept her passion for music alive, practicing for at least one hour every day until she passed on September 23, 2006 at age 93. In the later portion of her life after her husband died, Baker released multiple albums, including 1991’s One-Dime Blues and 2005’s Carolina Breakdown, which she recorded alongside Cora Phillips, and began performing at festivals again. Neither Holt nor Dylan were the first musician to feel moved by her music. When Clayton and Baker met in 1956, Clayton was traveling around North Carolina and Virginia to collect field recordings for his record, Instrumental Music of the Southern Appalachians, and struck up a conversation with Baker and her father while both were visiting Cone Manor in Blowing Rock. “My daddy asked Paul to let me play ‘One-Dime Blues.’ He was over the next day with his tape recorder,” Baker once said, recalling the encounter. 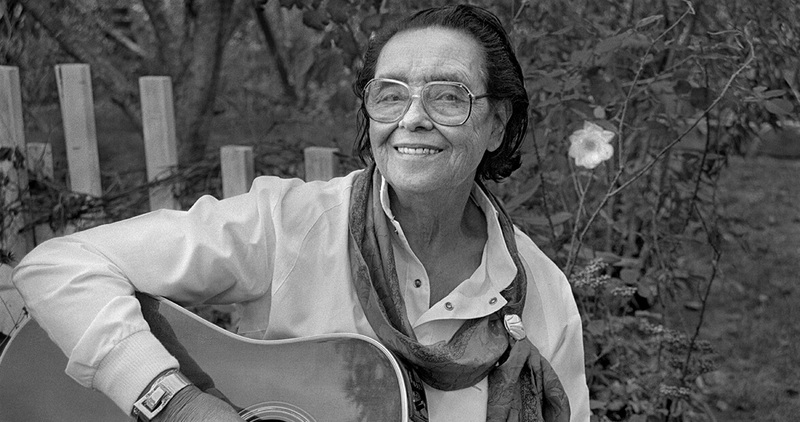 As Baker grew older, she was recognized for her contributions to contemporary American music received numerous well-deserved awards: a North Carolina Folk Heritage Award from the North Carolina Arts Council in 1989; the National Endowment for the Arts Heritage Fellowship in 1991; and the 2003 North Carolina Award in Fine Arts, the highest civilian honor given by the state. As North Carolinians, we love to claim her as our own, but her influence reaches far beyond our Foothills. “She was the real thing,” Holt said. Baker always stayed true to her character, never letting her talent and influence get to her head. “She didn’t wear it like a crown or anything, but [she] certainly felt it because we all told her a million times,” Holt says. A woman who was as distinctive as the playing style she popularized, Etta Baker and her spirit live on through the work of the musicians she inspired.